Dr. Ngozi M. Obi is an emerging author whose love for writing has evolved into two published novels to date. Her journey as a writer began in response to her search for a genre of easy to read books with an inspirational message that weren’t preachy. 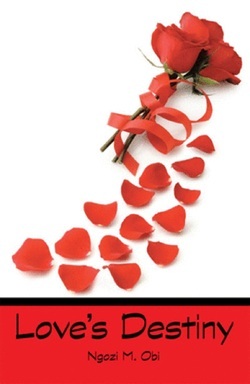 Her first novel, “Love’s Destiny”, was published in 2009. It follows the main character, Naeerah, in a tale of love lost and found. Her second novel, “When Dreams and Visions Collide”, was published in 2010. It follows Fern and her friends in a tale of fulfilling your dreams against all odds. 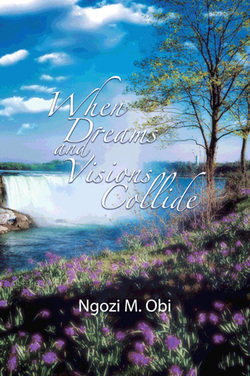 Ngozi finds inspiration for her novels from the basic things in life and her books aim to inspire adults of all ages. She currently resides in the state of Virginia where she practices as a pharmacist. In her spare time, when she’s not busy writing books, she enjoys going to the spa, shopping and reading. Love's Destiny introduces Naeerah, a somewhat naïve young woman, whose entire life's schedule is suddenly interrupted by a chance meeting with a Christian rock star named Luke. She's immediately thrown into the spotlight of being a rock star's girlfriend and all that lifestyle entails. Her father is not happy with their relationship because he fears it will take her off course. Defying her father, she moves to Luke's hometown for a chance to get to know him better, only to find out when she gets there that she doesn't fit the mold of what those closest to Luke would like to see him with. Through a whirlwind of dramatic circumstances, she's forced back home with her parents and is separated from the love of her life. Will divine destiny unfold in their lives when there seems to be no hope? Fern Whitfield has just opened her own production company which she proudly calls Whitfield productions, when out of the blue, she's surprised by her best friend with the possibility of producing her first movie. She jumps at the opportunity because it's something she's always wanted to do. The excitement is overwhelming and things are rapidly falling into place until love comes calling. Will the green eyed monster of envy and jealousy ruin Fern’s chance of fulfilling her dream? Follow Fern and friends as they discover what it truly means to love unconditionally and that it takes more than the visionary to realize the birth of a dream.